Team “Fighter” was set up in 1997. It has been one of the most titled and famous amateur teams in Russia for more than 14 years. Today the team is experiencing a rebirth, as it has been winning the most prestigious titles in Russia within the last 3 seasons. 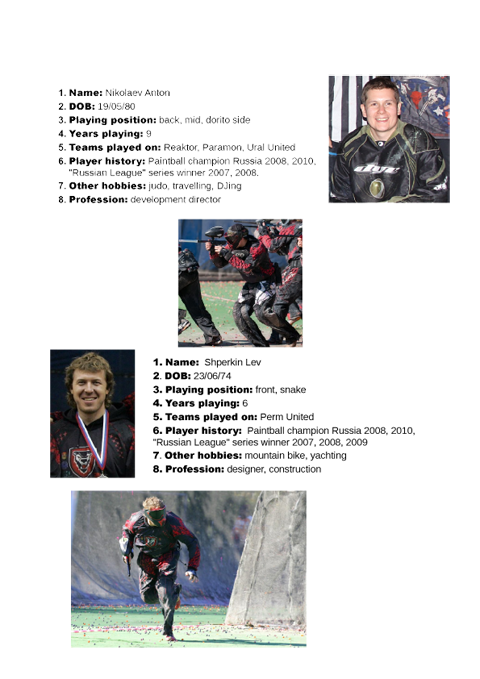 The next target for the team is winning the European Millennium Series 2012 and participating in North American PSP. “Fighter” team won the championship in Russia 4 times in 2004, 2005, 2008, 2010, it also won 7 gold seal rings in “Russian league” series; the team players being members of different teams repeatedly became the prizewinners of the series Millennium, Centurio and Grand tour. These are the best results among all the other amateur teams in Russia. The team has been greatly renewed within the last several seasons – perspective and powerful players – ex-leaders of their own teams, looking forward to playing in the top division have joined the team. 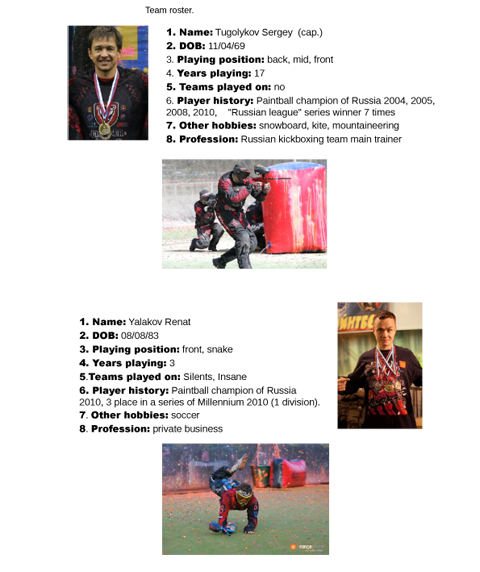 Almost every “Fighter” player is an ex-sportsman, who has shown great sport results before they started paintball. Besides, they are all mentally mature, they know what they want from sport and their life, their main aim is to become winners. Today the team is a mix of experienced players with rich tournament history and young ones who are eager to play and to succeed. Another characteristic of the team is the fact that it doesn’t represent Moscow or St. Petersburg. The players of the team are from different cities in Ural and the North of Russia. 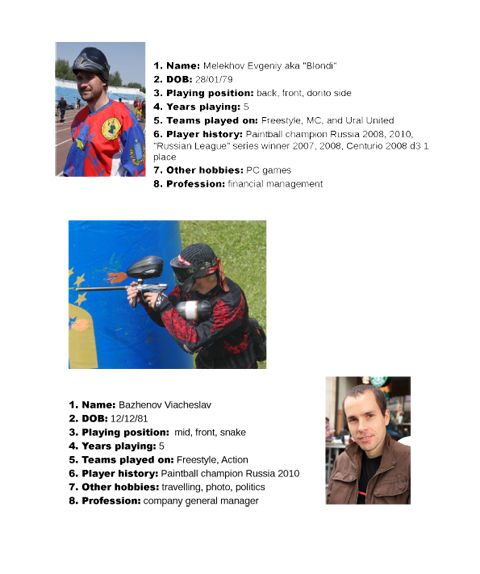 The members of the team develop paintball enthusiastically in their regions, take part in organizing and holding tournaments, coaching, they help younger players to choose equipment, share their experience. “Fighter” team believes that in cooperation with Millennium Series they will carry paintball forward in the regions of Russia.